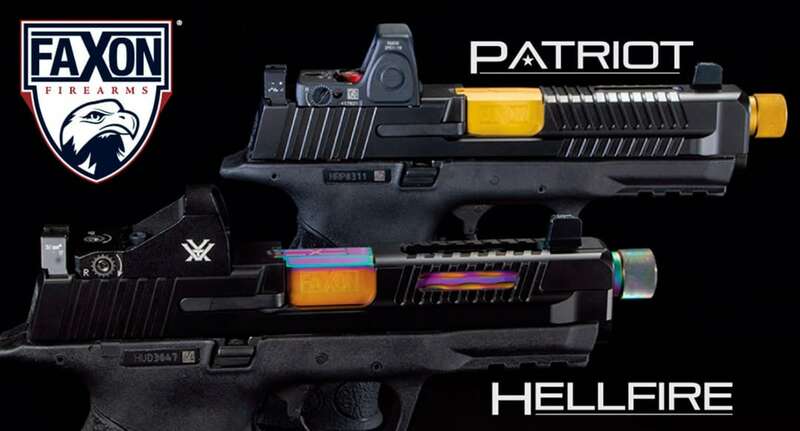 Faxon Firearms’ quirky slides, the Patriot and Hellfire, are finally breaching consumer safes as the company announced the newest slides are finally available and shipping to Faxon fans. 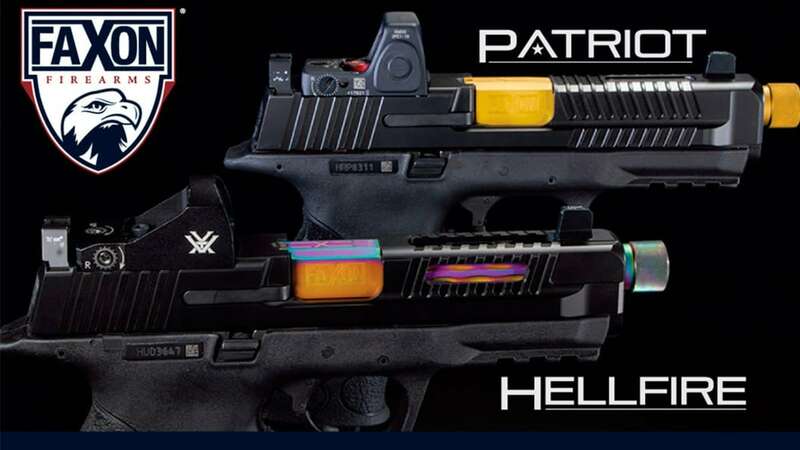 Introduced at the NRA Annual Meetings and Exhibits in May, the Patriot and Hellfire M&P slides offer a colorful upgrade to the Smith & Wesson pistol series. Constructed from 17-4 stainless steel, the Patriot and Hellfire slides feature front, rear and top serrations designed to help shooters during slide manipulations. 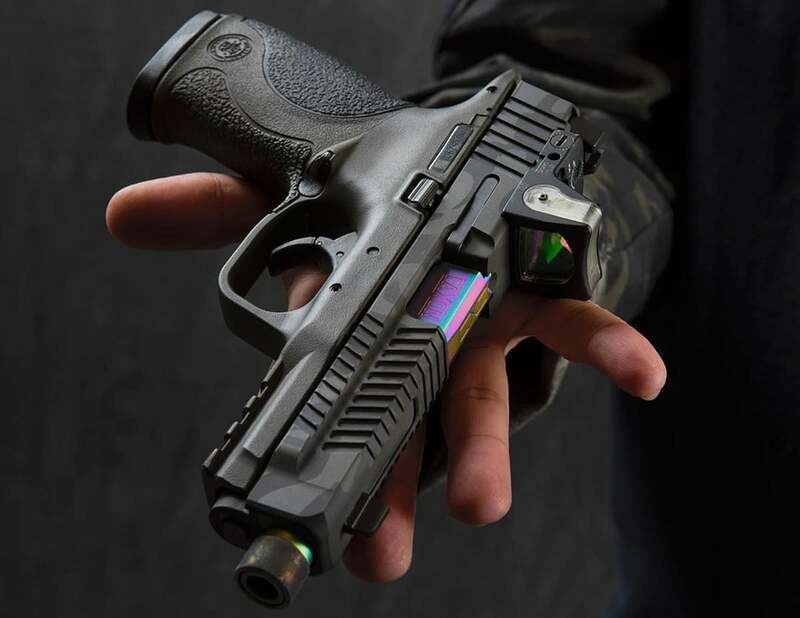 Both slides offer compatibility with Glock sights in addition to pairing with optics like the Trijicon RMR, Vortex Venom, Vortex Viper or Burris FastFire depending on cut. Boasting a Diamond-Like Carbon, also known as DLC, finish the slides achieve a colorful aesthetic according to Faxon Firearms. The Faxon Firearms Patriot and Hellfire slides for Smith & Wesson M&P pistols are available through Faxon Firearms with prices ranging between $499 and $724.